Arsenal manager Arsene Wenger says Saturday’s 6-0 defeat by Chelsea was an accident and should not necessarily connote that he is “not a good driver”. The ‘Gunners’ failed to register a goal against Chelsea in three meetings this season, eventually culminating in their heaviest-ever loss which also dealt their title huge blow. They are now seven points behind the Premier League leaders with a game in hand. Oxlade-Chamberlain and Kieran Gibbs WIll Be in Action Against Swansea Tonight. Webger’s side were reduced to ten men during the London derby courtesy of a referee Andre Marriner red-card blunder at Stamford Bridge. 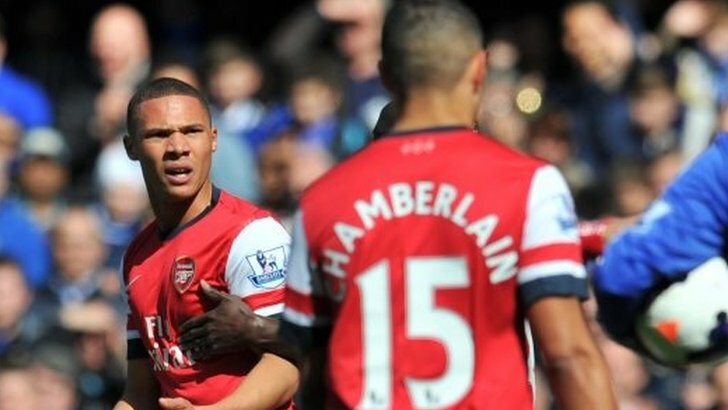 Marriner sent defender Kieran Gibbs off instead of Alex Oxlade-Chamberlain for handling Eden hazard’s shot in the vital area. The North London club have now succeeded in ensuring that neither Gibbs nor Oxlade-Chamberlain will be suspended for the trip to Wales. The Football Association (FA) transferred the red card to Oxlade-Chamberlain, but the Gunners successfully argued he had not stopped a goalscoring chance given Hazard’s shot was going wide. All four match officials have escaped punishment and Marriner will as well be in charge of a league match this weekend.